Fresh, homemade pappardelle pasta speckled with fresh mint, basil, and crushed pistachios, glistening and calling your name. You want a bite, don’t you? You should have a bite. You should make a batch tonight and have a whole bunch of bites. I know, I know; you think homemade pasta is too much work and you really just want to come home and relax, not get involved in some sort of crazy kitchen disaster/mess. Can’t have it both ways. Uh, yes, you can. 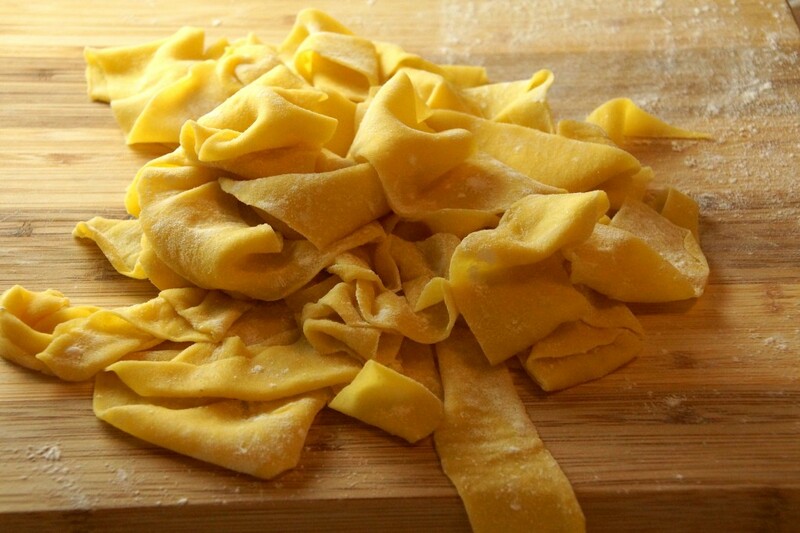 This isn’t overly complicated like rocket science or tortellini, it’s pappardelle. Pappardelle couldn’t be easier to make, especially a small batch like this one, and won’t completely destroy your kitchen. A couple of measuring cups, 1 bowl, and a fork are all of the extra dishes you’ll have to do. Plus, the dough doubles as a stress ball. Sift a cup of flour into a bowl. A whole egg and 2 yolks are combined with a bit of oil. 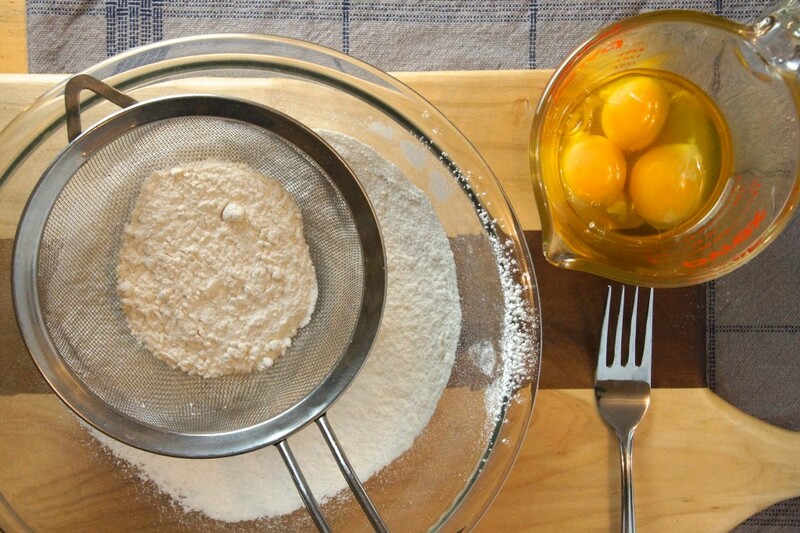 Dig a well in the flour, add the eggs. Bring it all together with fork. 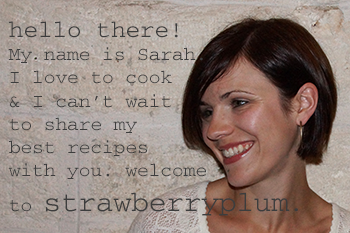 Dump and knead, as your stress melts away. Let it rest while you assemble a sauce. Let’s keep with the easy theme for saucing the pasta. We’ll dress it with a funky pesto and that Mascarpone we’ve been meaning to use up. Pistachios, garlic, fresh mint, and basil get pulverized in a mortar (or break out your food processor). Smash, smash, smash. Mix the greenery with Mascarpone. Add a squeeze of lemon, season with salt & pepper. 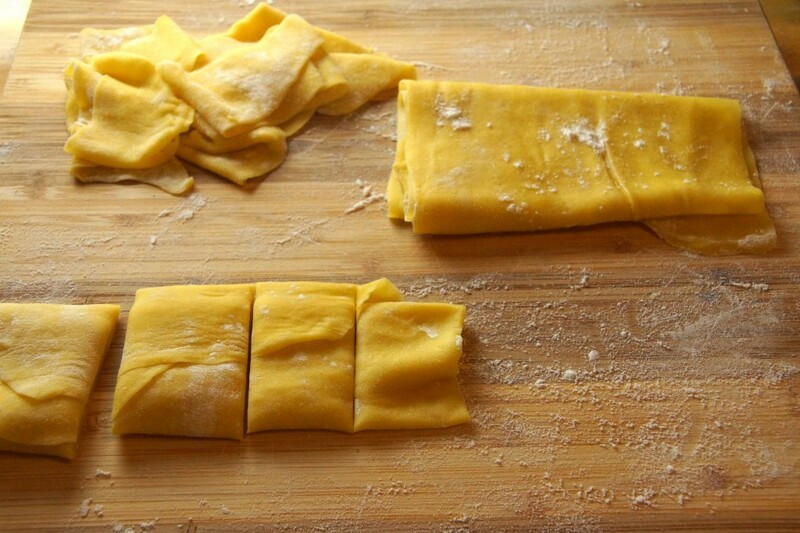 Rested pasta dough gets rolled, cut into wide noodles, and boiled. Easy as that. 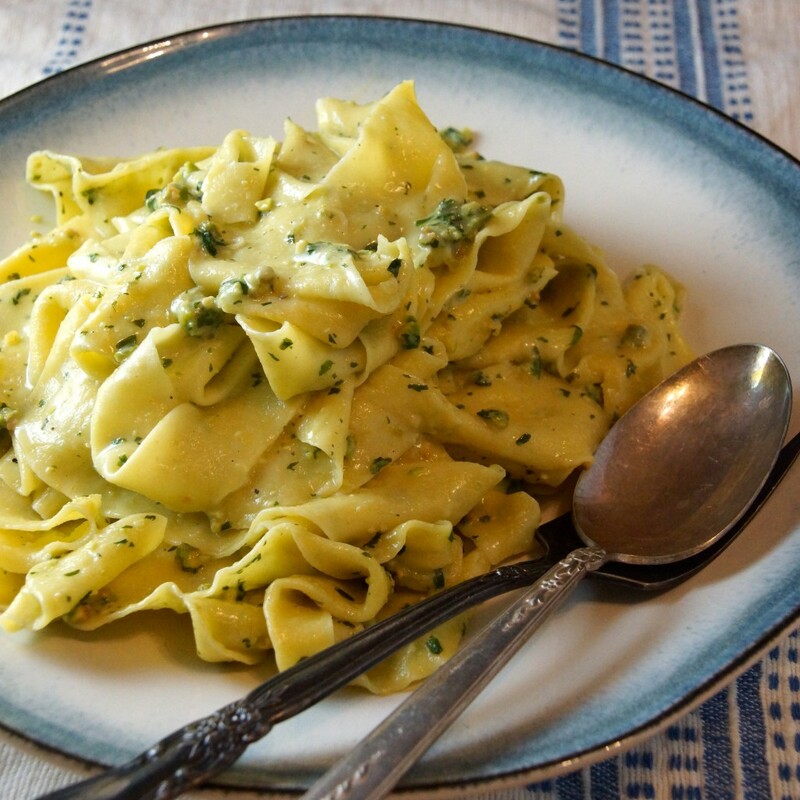 Your own glorious plate of pesto-d pappardelle. The recipe yields enough pasta for 2 portions but can easily be doubled or tripled. Sift flour into a large bowl. Create a well in the center. 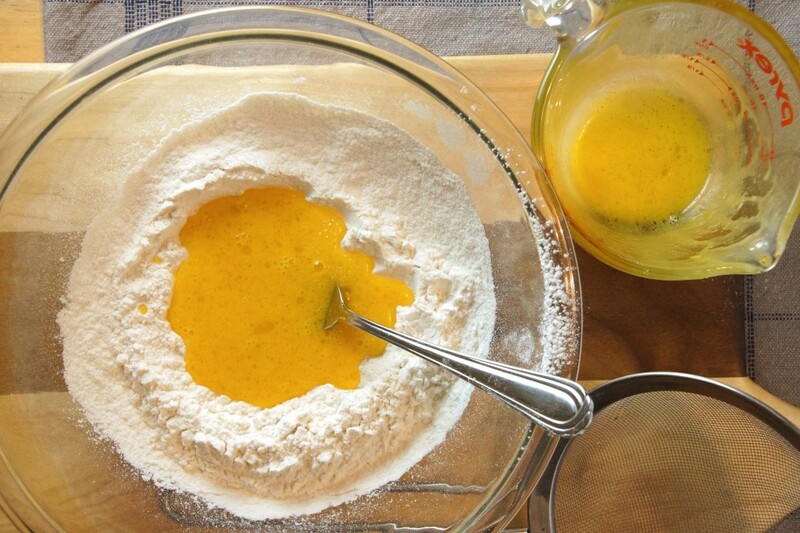 Combine egg and yolks with olive oil in a small bowl and briefly beat. 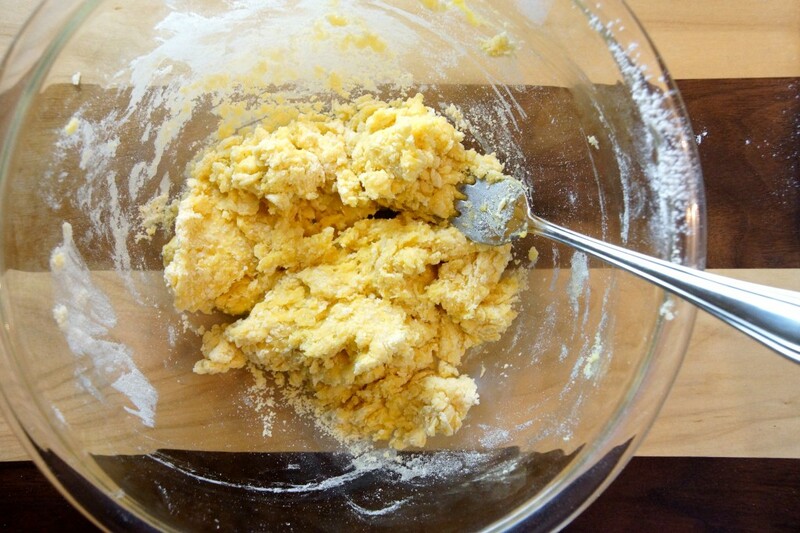 Pour egg mixture into the flour well and use a fork to incorporate. 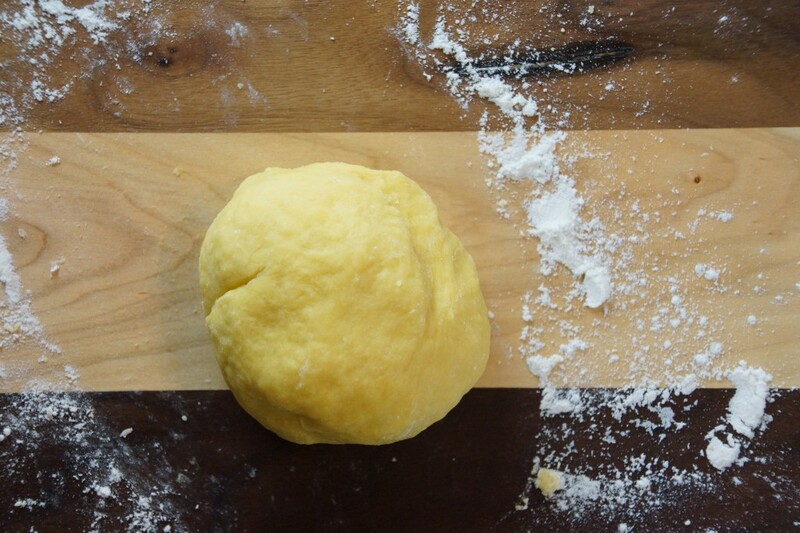 When the flour has been incorporated, transfer dough to a board or clean countertop and knead for a minute or 2 until the dough is soft, smooth, and elastic. Wrap the dough in plastic wrap and let rest for 30 minutes. Divide the dough in 4 pieces. Roll each piece through a pasta machine several times, starting with the widest setting and gradually working your way to the thinnest setting. Place pasta sheet on a lightly floured kitchen towel. Repeat with remaining pieces of dough. 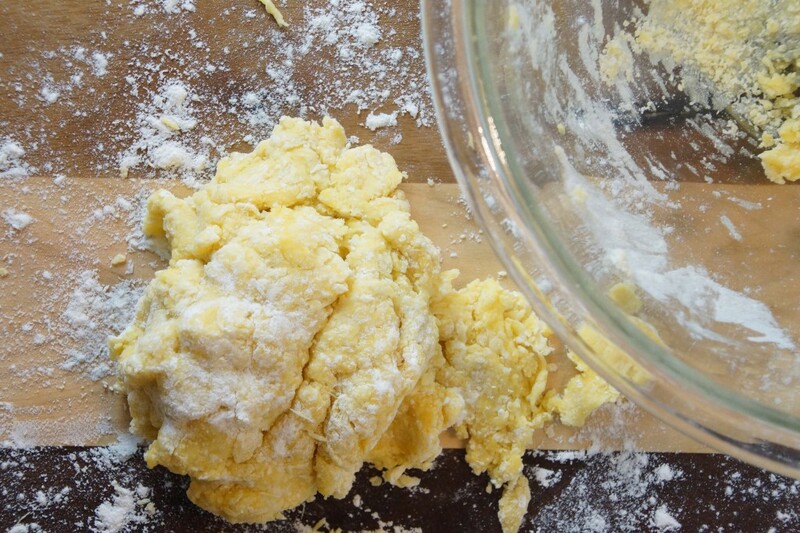 Roll each piece of dough and hand-cut in 1-1½ inch strips. Unroll and loosely mound until you're ready to boil. Boil in a large pot of boiling salted water. Add pasta and cook until it floats to the top. Strain, dress with sauce, and eat immediately. 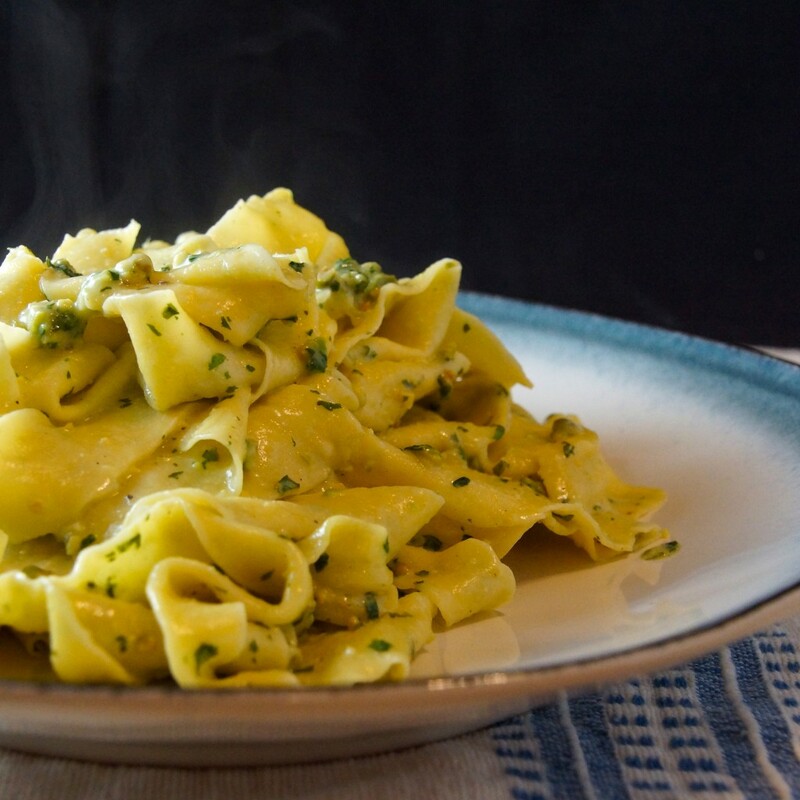 This pesto will make enough to dress about a ½# of pasta or a double batch of the preceding recipe for pappardelle pasta. 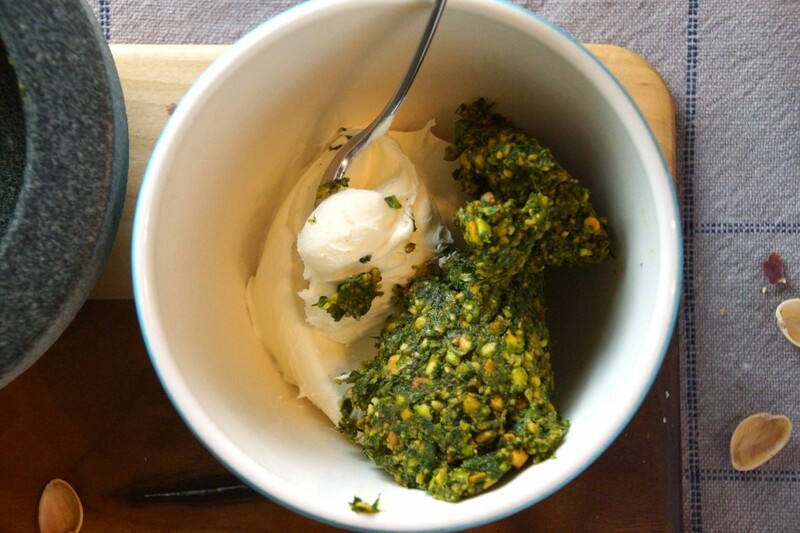 Leftover Mascarpone Pesto is great as a sandwich spread or folded into scrambled eggs. 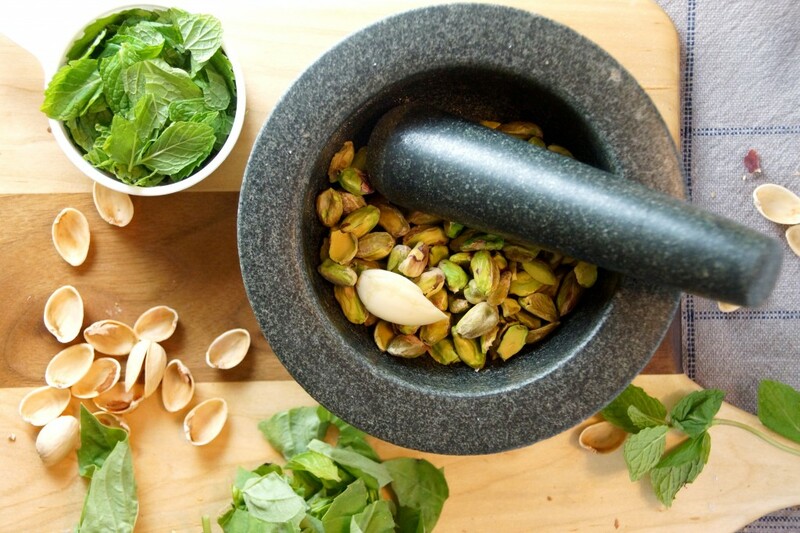 Crush pistachios, mint, basil, and garlic together with a mortar and pestle or pulse in a food processor. Fold into Mascarpone and season with lemon juice, salt, and freshly cracked black pepper. Madethe pasta according to your recipe,and it was awesome! Great website!